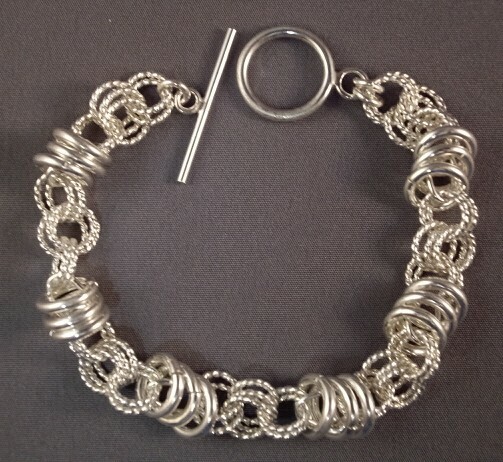 This bracelet is an exciting piece of jewelry to make and to wear. It utilizes a large gauge of smooth rings, oval rings and twisted rings. The large rings go around an oval ring to give the bracelet movement as they roll. This is a beginner piece of jewelry to make. The clasp is not included.